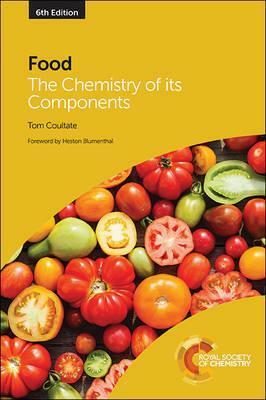 First published in 1984, and now in its 6th edition, this book has become the classic text on food chemistry around the world. The bulk components carbohydrates, proteins, fats, minerals and water, and the trace components colours, flavours, vitamins and preservatives, as well as food-borne toxins, allergens, pesticide residues and other undesirables all receive detailed consideration. Besides being extensively rewritten and updated a new chapter on enzymes has been included. At every stage attention is drawn to the links between the chemical components of food and their health and nutritional significance. Features include: "Special Topics" section at the end of each chapter for specialist readers and advanced students; an exhaustive index and the structural formulae of over 500 food components; comprehensive listings of recent, relevant review articles and recommended books for further reading; frequent references to wider issues eg the evolutionary significance of lactose intolerance, fava bean consumption in relation to malaria and the legislative status of food additives around the world. Food: The Chemistry of its Components will be of particular interest to students and teachers of food science, nutrition and applied chemistry in universities, colleges and schools. Its accessible style ensures that it will be invaluable to anyone with an interest in food issues."